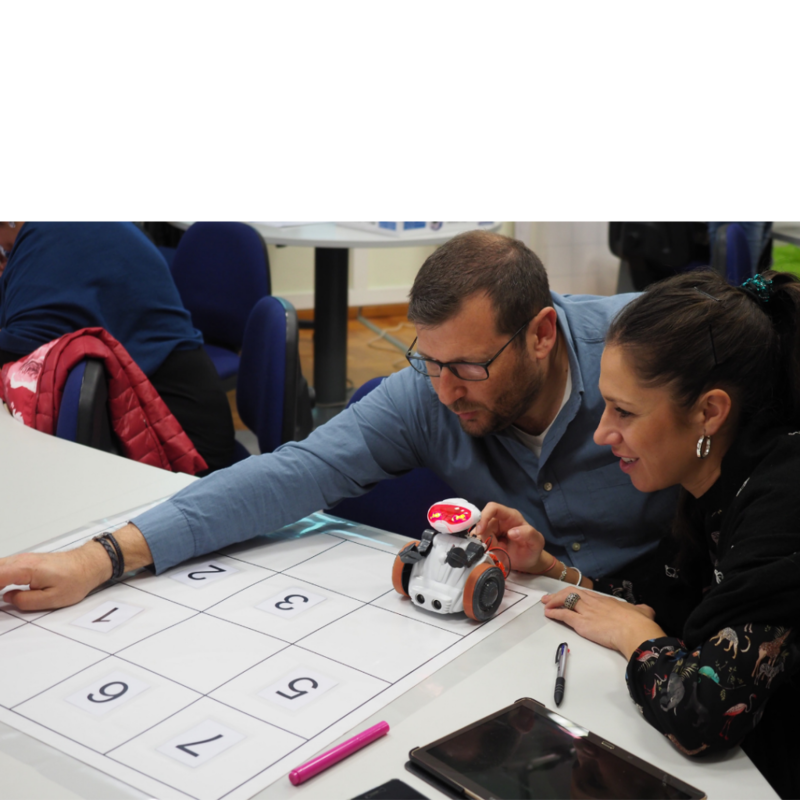 The European teachers training course on tangible programming, held last week in Aveiro, finished last Saturday and participants are motivated with what they have learned and can use in primary school education. For five days, 16 teachers from Portugal, Spain, Bulgaria and Latvia attended the European teachers training course on tangible programming promoted in the framework of the TangIn project. The course aimed to promote teachers’ competences in using tangible programming concepts and tools to foster student’s inclusion and computational thinking in STEM based subjects. Suggestions were given by the teachers, namely the creation of an online repository of lesson plans for all the teachers and where teachers could also share new activities and lesson plans in new subjects. The participants in the teachers training course will now train other colleagues at their schools and create a working group that will use the TangIn toolbox of educational resources in their classes for an experimentation period. This pilot test period will last from March until the end of the school year.